An auto accident can cause serious trauma to the musculoskeletal system. Unfortunately, many accident victims walk away with just a few bruises and mistakenly think there are no serious injuries. That’s simply not the case. Chronic back pain, neck pain, and headaches can develop slowly over time, and it may not be until weeks, or months, after the accident that you realize the full extent of your injuries. It is absolutely essential that a chiropractor examine your musculoskeletal system following an auto accident. Early detection and treatment is critical to preventing the development of scar tissue and injury complications. Chiropractic Center of Lakeland takes on a whole body approach to restoring health after a trauma such as auto accident. This means the chiropractor does not merely focus on your symptoms, but also addresses the underlying condition causing your health problems. For example, one of the most common auto accident injuries is whiplash. Traditional medical care prescribes prescription pain killers to dull the pain. This relief is only temporary, however, as medication cannot correct the actual problem. Spinal adjustments can. When a whiplash injury occurs, the force of impact “whips” the neck forwards and backwards. This abrupt and unnatural movement damages the cervical spine, along with the soft tissues of the spine. 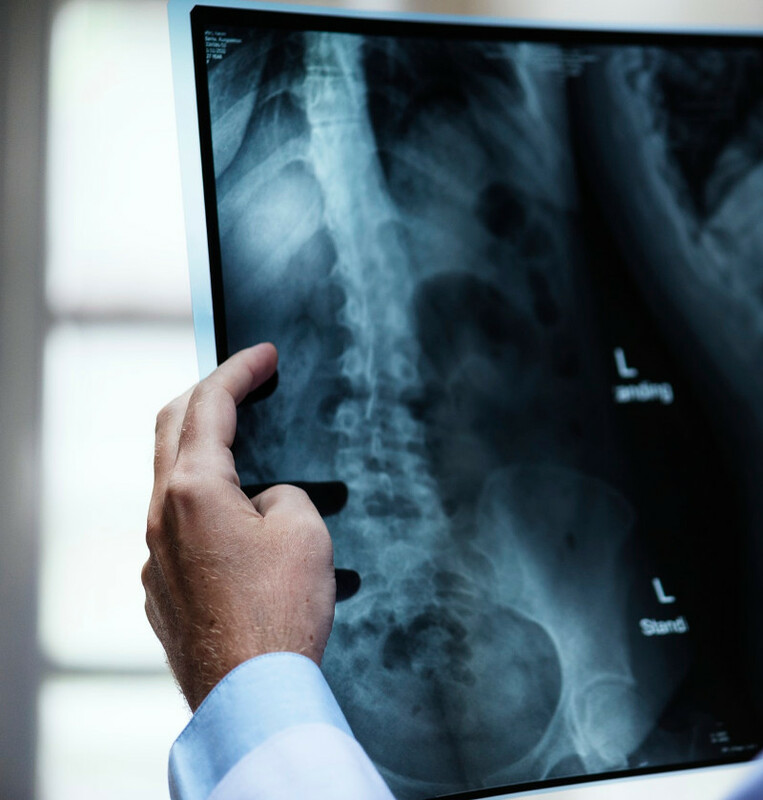 With the cervical spine out of alignment, patients can suffer from a variety of issues, including neck pain, headaches, migraines, and difficulty concentrating. Gentle, hands-on chiropractic care helps restore alignment to the neck. Corrective rehabilitation exercises can also help strengthen the cervical spine and nearby soft tissues, restoring a full range of movement and motion to your neck relieving pain from an auto accident injury. Chiropractic Center of Lakeland can also treat you for a low-back injury due to a herniated disc. An auto accident can cause a disc in your back to slip out of alignment, putting pressure on nearby nerves. If the disc compresses the sciatic nerve, patients may suffer from a condition known as sciatica. A shooting or radiating pain sensation in the lower back, buttocks, and legs characterizes this condition. Chiropractic care is a safe and natural way to relieve this pain, while also restoring alignment to the spine and relieving pressure on the sciatic nerve. Chiropractic Center of Lakeland combines the best of adjustments, therapies and rehabilitative physical therapy treatment to completely restore your body back to its full abilities. Whether you suffer from headaches, back pain, or migraines, we are here to provide fast, effective, and natural pain relief for the entire family. Our goal is not only to help you heal following your accident injury, but to help you achieve optimal wellness. If you, or someone you know, have been in a car accident, don’t delay! Visit our office and get started on your journey back to wellness.